I figured before I actually review this album, I had to make it out to the Sooke Potholes. So now that I’m sitting on the Sooke River, it’s time to get this story straight. It’s no secret by now that Island SoapBox loves Treelines, and now there are six more reasons. Young Man is a six song E.P. released this past Canada Day, and let me tell you, Lockhart and the boys have done it again. Like the first record, the music is polished, sounding like veterans of the recording studio. This album is a great summer listen, all the songs have a sing-a-long quality, and are perfect for the patio party, or the dockside sunset. 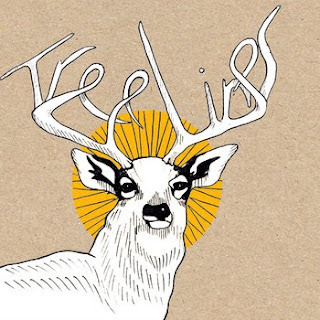 You know by the sound that it’s Treelines, but they do a great job of changing pace and feel. Streetlights borders on a country, where as Ghost Towns is much more rock aggressive. The diversity of the album is great, keeping you interested the whole time. The only unfortunate part of this is, you are all too aware of how fast six songs goes by! The band recently announced a move to Vancouver from their current hometown (and B.C. Music hotbed these days!) Kelowna. This can only mean an opportunity for more listeners for these great Western rockers. Tour dates keep popping up, and this album should generate some serious interest. You can get up to date at www.treelinesmusic.com, as well as access to merch and music. The album features Young Man, a free download, and a good barometer of the record. It’s music with depth and emotion, all of it seeming positive. It really is six more songs you can play skip free, adding to an already impressive library. I’ve already celebrated Treelines Day this year, but I’m doing it again right now, and it’s time you did too.